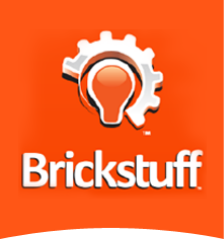 Videos - Brickstuff-- Small Lights for Big Ideas! So What Can You Do With These Lights? Plenty. From the beginning, we've designed our lights for use in any creation you can think up. If you're wondering what others are doing with our lights, hopefully these videos will get your creative juices flowing. Check out Tommy Williamson's great demonstration of how to use our products to light the Palace Cinema. Yes, you really can snap bricks right over the wires! This video shows how our Micro Light Board Starter Kit and Lighting Effect Controller can be used to bring the Winter Village Cottage to life. Warren Elsmore did a great job of mounting our lights into a fire truck. With the 1-AA battery pack we now offer, he would have been able to get the power supply inside the vehicle as well! Simon Liu (SI-MOCs on Flickr) used our lights in a quick setup with some of his awesome micro space ships. The wires and battery pack are visible in this video, but could easily be hidden in the supporting base of the ships. Note that the lighting cables themselves run through the inside of the supporting 1x1 round brick posts. In this early demo video, we show some ways to light the Green Grocer Modular Building. The ideas presented in the video can be applied to lighting any building of any size. This demo video shows how Brickstuff lights can be used to modify a Brickmania WWII Sherman Tank to include headlights and a firing turret. It also shows how our Lighting Effect Controller can be connected to exterior lights inside a building to simulate battle sequences.